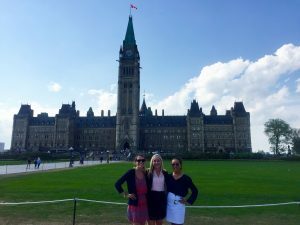 In May 2017 I traveled to Ottawa, ON, Canada for an Internship in the Canadian Government for my Signature STEP Project. With the support of the Political Science Department at The Ohio State Univeristy, I was able to go abroad to Ottawa, ON, Canada to intern with a Member of Parliament in the Canadian Government. 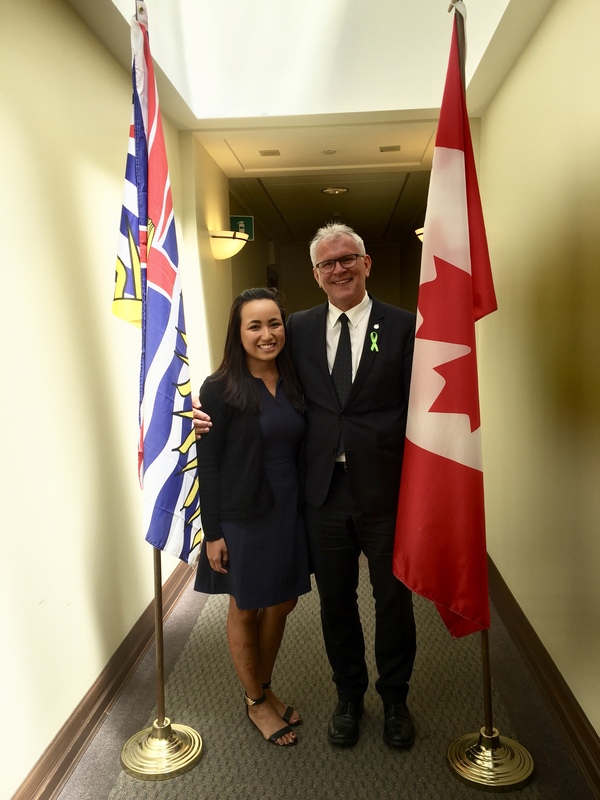 This internship allowed me to work one on one and directly underneath my Member of Parliament, Wayne Stetski. The past month in Ottawa has lead me to understand so much more about the world around me as well as with myself. 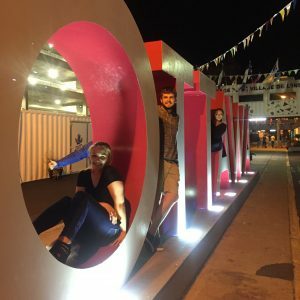 STEP Signature Project allowed me to experience so much about a new culture, just to the north of us. When I first arrived in Ottawa I was very optimistic about my internship. I didn’t know much about Canada besides that they are our neighbors to the north, maple syrup, and beavers. As I got introduced to my office, my Member of Parliament, and my new life in Canada, I began to appreciate things more. The way of life in Canada is strikingly different then the way of life in the USA. Through this I was able to discover more about myself as well. I learned to problem solve on my own as well as to take care of myself or handle problems smoothly without the assistance of my parents. At the end of my Project I was able to develop more awareness about the world around us, and that culture in the USA is not just a bubble that remains within boarders. Working in the Canadian Parliament provided lots of opportunities, interactions and activities that allowed me to transform my global and personal views. Mainly, I was able to experience receptions and interactions with Canada’s political leaders. Opportunities such as meeting different foreign Ambassadors to Canada was the most significant interaction that I was able to experience while Abroad. I was able to meet the Ambassador of China to Canada as well as the Ambassador of Japan to Canada at one reception. This was such an amazing experience as I dont know any other opportunity that would allow this experience. It was not only amazing itself, but very transformational. I was so enlightened by this meeting about my global awareness. Canada’s global connections are so extensive and deeply rooted in every nations history. Activities such as receptions that were held after work hours for the Parliament Members and visiting Diplomats were also very transformational in my STEP signature project. 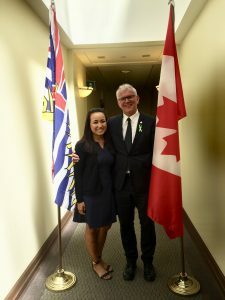 These receptions allowed me to make connections and relationships with people from all over Canada and the world. For example, at one of the receptions that were held at the Chateau Laurier, I was able to meet the CEO of Travel Canada. The CEO was very interested in the American Internship Program that I was part of, as well as my entire experience in Canada as an American. This helped me gain further knowledge and awareness of Canadian Businesses and Industry on the side of Canadian Politics. I was more so able to learn how to interact with ‘Top Tier’ Canadians and make connections. I was absolutely heartbroken at the end of my experience to leave my Office. I had become very close with my Parliamentary Assistant, Liaison, and Member of Parliament. Not only was I able to learn administrative skills, legal writing skills, and diplomatic skills, I was able to learn how to be an overall better student and human through them. They taught me about their country as I taught them about mine. Being able to go to work on The Hill every morning was an amazing experience that most Canadians dont get to experience, let alone Americans. This experience matters so much to me because it has most definitely allowed me to become the person that I am one month after it has ended. With out this internship, I would not be able to problem solve as well as I do now. I have learned so much about the world around me, about another nations government, people, and life style. All of this information that I was able to learn and experience has enhanced my personal, educational, and professional goals. I have become a better person, student, and adult. The Canadian Parliament Internship has allowed me to view the world with open eyes and arms. I have learned through this internship that I would like to go into something related to Diplomats or Foreign Relations. I plan to keep on traveling throughout the world to learn more about different cultures and places. It was an experience of a lifetime and I am so thankful for this experience. Posted by novak.285 at 6:22pm Bookmark the permalink. It sounds you have learned some great cross-cultural problem-solving skills as part of your experiences abroad.